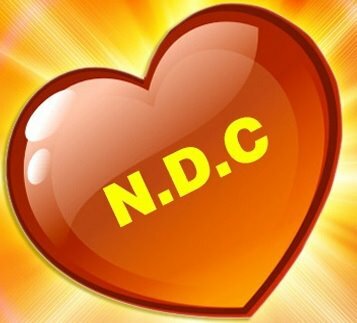 The National Democratic Congress (NDC) wishes to register its outright disappointment with the recent announcement by Government of Grenada, as conveyed to us by the Constitution Reform Advisory Committee (CRAC), regarding the ongoing Constitution Reform Process. In its communiqué to the National Democratic Congress, the committee advised that the Cabinet had “approved the following additional three recommendations put forward by the Grenada Constitution Reform Committee, subject to the understanding that the committee must refine the recommendations and submit same for its further review and final approval”, namely: Election and tenure of the Head of State (the Governor General), term limits for the Prime Minister and an Opposition Leader at all times. In our view, these conclusions represent a grave and curious departure from the recommendations of the previous Constitution Reform Commissions and Bodies, put forward after deliberate and extensive inquiry and consultations, for the reform of the Grenada Constitution. Indeed, while trying to give the impression that they were being magnanimous, the Government substantially circumvented all but one of the previous recommendations put forward by the previous Constitution Reform Commissions and Bodies after extensive and repeated consultations with the people of Grenada. From the very outset of this process, the NDC took the position that we will support Constitutional Reform that is meaningful and that will result in a real and meaningful improvement in the operation of our democratic system. We maintained that at the end of the reform process, the people of Grenada must be satisfied that their politicians are more accountable to the citizens and will no longer be at liberty to engage in reckless, irresponsible and high-handed behaviour to the detriment of the citizens and the image and reputation of the country. Because of our commitment to real and meaningful Constitutional Reform, the NDC has supported and fully participated in the activities and work of the Constitution Advisory Committee. The NDC sees this work as a continuation of the process of Constitutional Reform that it started while in office. In August of 2014, the NDC, through our Political Leader, made a national address in which we voiced our concerns about certain deficiencies in the process and some fundamental omissions in the recommendations for reform that the Committee had presented to the Cabinet for consideration. The NDC also published a position statement which was submitted to the Advisory Committee. THAT THE GOVERNOR GENERAL OF GRENADA BE CHOSEN BY AN ELECTORAL COLLEGE OF PARLIAMENTARIANS FROM THE PARTIES REPRESENTED IN PARLIAMENT RATHER THAN BY THE PRIME MINISTER ALONE. It is important to emphasize that these six (6) items endorsed by the NDC for inclusion on the referendum ballot were not the creation of the NDC and did not belong to the NDC. Rather, they represented recommendations put forward by the previous Constitution Reform Commissions and Bodies (that were appointed by previous governments) after extensive consultations with the people of Grenada. We find it necessary to reiterate this point given the wilful and deliberate attempt by some persons to present these recommendations as “NDC Demands” and to convey the impression that there is some kind of “three- way negotiation” taking place between the Cabinet, the Constitution Reform Advisory Committee and the NDC. We wish to make it abundantly clear that we have not, and will not engage in any secret negotiations behind the backs of the Grenadian people on the matter of their fundamental rights and freedoms. It should also be noted that during the trade centre Consultation, a strong and vigorous call was made by several participants for the inclusion, in any referendum on the reform of the Grenada Constitution, of a provision that the citizens be entitled to recall their parliamentary representative in circumstances where he or she engages in conduct that is unbecoming of a parliamentary representative. NDC recently received a copy of a Further Report of the Advisory Committee that was submitted to the Cabinet for consideration after the Trade Centre consultation. In that report the Committee made certain further recommendations to the Cabinet, including: that the Governor General be elected by an Electoral College, that there be term a limit of three (3) consecutive years for a sitting Prime Minister, that there be recall of Parliamentary representatives for non-performance, that there be an opposition leader at all times and, that there be fixed date for holding General Elections, not via Constitutional amendment, but by an ordinary Act of Parliament. That Further Report shows that of the six (6) matters recommended by previous Constitutional Reform Commissions and endorsed by the NDC, only one was recommended to the Cabinet as advocated by the NDC, that is, the matter of the election and tenure of the Governor General. The issue of Proportional Representation was not put to the Cabinet in any form. As far as the NDC is aware, there has been no final report on the Trade Centre Consultation, which by far, was the largest of all the Consultations held. At that consultation many persons expressed support for these additional recommendations. In the absence of such a report, it is not known what role the views of the people attending that event played in informing the further recommendations submitted to the Cabinet by the Committee. The same is true of the impact of the petition signed by 4024 people. The National Democratic Congress notes that as of now, there has been no formal statement from the Committee indicating its reasons for rejecting the recommendations of the previous Constitution Reform Commissions and Bodies, including, in particular, the recommendations relating to proportional representation and a fixed date for general elections. Furthermore, to date, there has been no formal statement from the Cabinet confirming the information provided by the Advisory Committee or indicating the reasons for its decision to reject, in particular, the recommendation that the people should have a right to recall non-performing Parliamentarians. Equally, the Cabinet has so far failed or refused to indicate whether and to what extent it has sought and obtained from the Committee a reasonable explanation for the Committee’s failure or refusal to submit for Cabinet’s consideration the recommendations of the previous Constitution Reform Commissions and Bodies which were widely accepted at the trade centre consultations. These omissions on the parts of the Committee and Cabinet, respectively, raise serious doubts regarding government’s commitment to undertake meaningful constitutional reform and cast serious doubts on the successful conduct of a referendum for the reform of the Grenada Constitution. The NDC maintains that in the face of oppressive taxes, joblessness, falling living standards and a bleak economic outlook, what is uppermost in the minds of most Grenadians is finding a way to support themselves and their families. This is not the time for playing political hide and seek!!! If we are going to spend more time and resources on this process, let’s do it right!! !